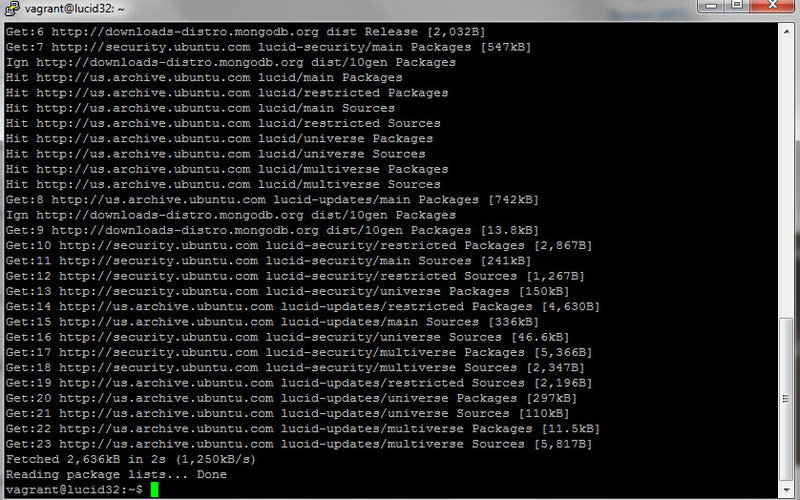 Create a /etc/apt/sources.list.d/mongodb.list file using the following command. 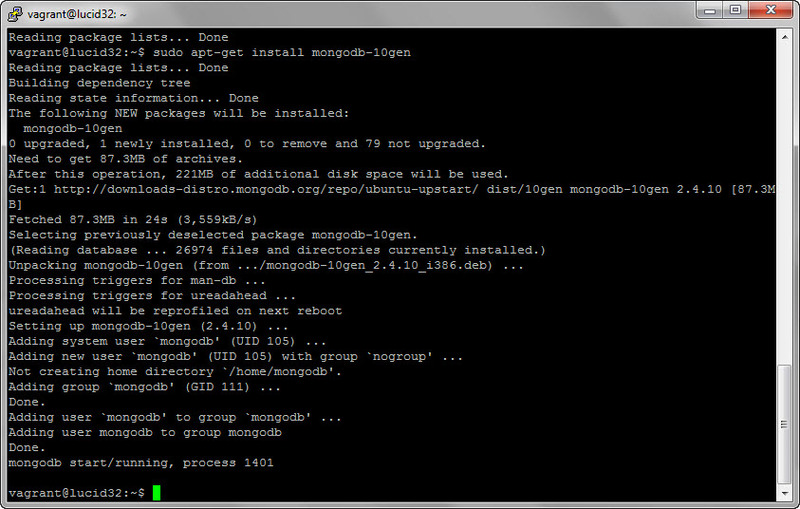 When this command completes, you have successfully installed MongoDB! Continue for configuration and start-up suggestions. 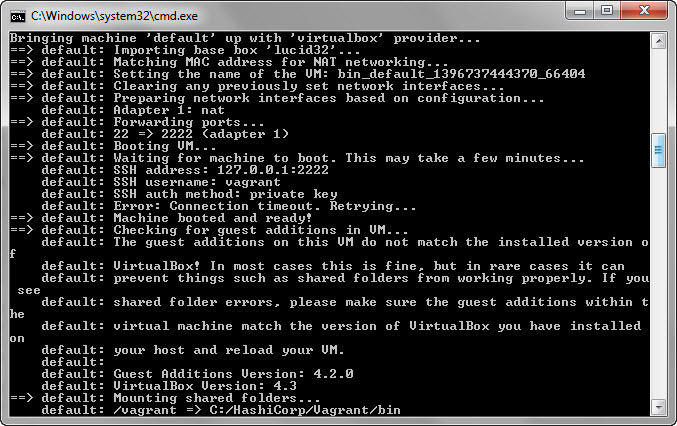 How to install Vagrant on Windows and run using VirtualBox? Based on the instructions from http://www.seascapewebdesign.com/blog/part-1-getting-started-vagrant-windows-7-and-8 , I am in the process of installing Vagrant on Windows 7. In this tutorial, we will be installing Vagrant, a bare bones server with Ubuntu installed. Vagrant is a server that runs under VirtualBox. You will need to have VirtualBox installed. 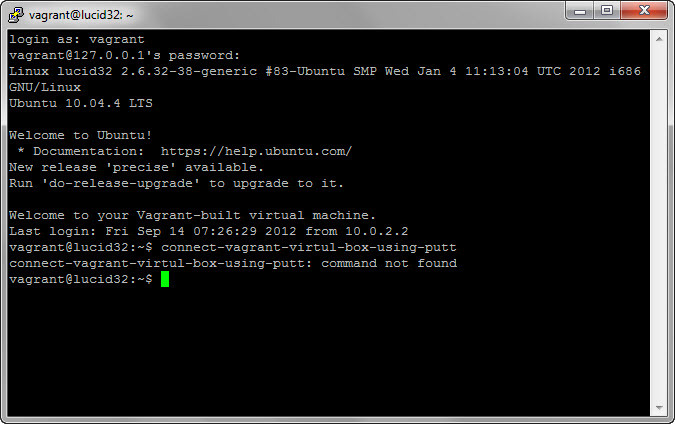 You will also need to have Putty installed in order to access your new Vagrant server via SSH. These instructions also apply to Windows 8. Requirements: A hard connection to the Internet Putty needs to be installed. http://www.putty.org/ VirtualBox needs to be installed. 3. Download and install the latest version of Vagrant from http://downloads.vagrantup.com. the comments in the Vagrantfile as well as documentation on`vagrantup.com` for more information on using Vagrant. 5. 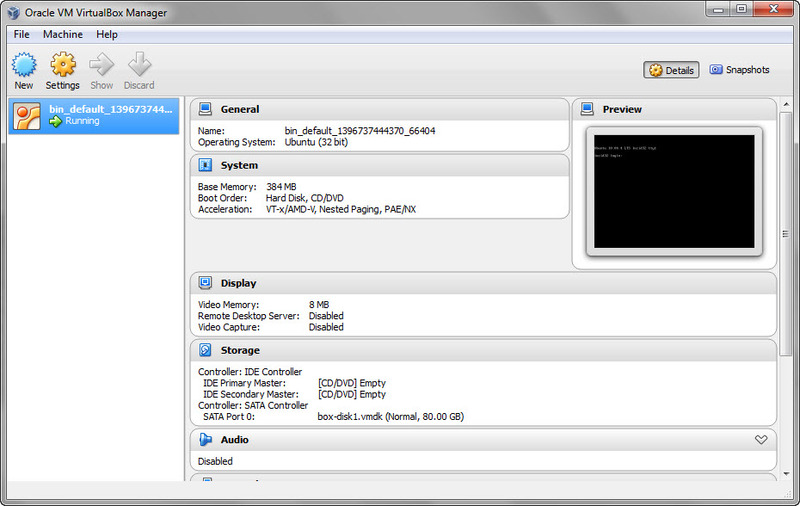 Open VirtualBox . Vagrant setup Ubuntu virtual machine in three line of command. The server’s host key is not cached in the registry. You have to guarantee that the server is computer you think it is. If you trust this host, hit yes to add the key to PuTTy’s cache and carry on connecting. If you want to carry on connecting just once, without adding the key to the cache, hit NO. If you do not trust this host, hit Cancel to abandon the connection. Vagrant will need to know how to use this provider. virtualbox, vmware_desktop and aws are examples of core providers. characteristics and a quick guide to get you started. and Chef) and how to improve your current Vagrant setups. An overview of new features from Vagrant 1.5 – Vagrant Cloud and Vagrant Share, including some security tips to avoid unauthorized access to your shared VMs.